Colombia, wedged between its neighbours in the northwest corner of South America, is the fourth largest country of the region. Between lush tropical landscapes to arid desert, and stylish, cosmopolitan cities to bucolic, though neglected peripheries, Colombia is often a land of paradoxes. This is reflected in the country's cultural and disparate social landscape too. As a result of the Spanish conquest, Colombia’s modern culture is deeply diverse and multi-ethnic, a synthesis of Spanish, indigenous, and African traditions, evident in the music, the food, and Barranquilla’s famous Carnival. This diversity however is often overlooked and all things European are often seen as the preferred preference. And, although colonization created a strict class system with little chance of social mobility, in recent years a strong middle class has emerged. Culture Smart! Colombia will help you understand the complex and often contradictory nature of the Colombians. It shows how the country’s rough geography and tumultuous history have shaped present-day values and attitudes. It describes social customs and traditions, examines life at home with family, and introduces you to some of the distinct and delicious culinary traditions. You’ll learn what Colombians think about each other, their neighbours, and foreigners. 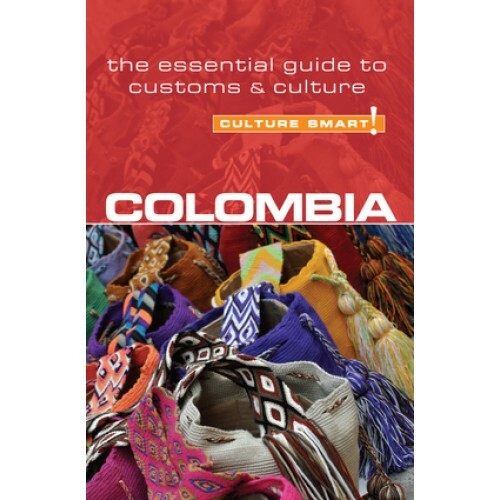 There is also advice on safe travel, vital information on how business is done, and how Colombians communicate with each other.